'Street Fighter V: Arcade Edition' News: What Moves Will Cody Travers Have in the Game? Long-time gamers may recognize the name Cody Travers for his appearances in the "Final Fight" and "Street Fighter" series, though they may be caught off guard a bit by what he looks now. Cody has cleaned up his act since his days scratching and clawing just to survive in Metro City, and gamers will be able to check out his new look inside "Street Fighter V: Arcade Edition." As the Street Fighter Wiki notes, Cody has featured various looks throughout the series, starting off as someone who paired a simple white shirt with blue jeans to a prisoner who didn't really mind looking like an inmate. Now, though, Cody has traded in those old garments of his for a stylish vest, shirt and tie combo complemented by pinstriped pants and shiny leather shoes. The makeover was necessary for Cody, as the mayor of Metro City should not just walk around looking disheveled. Just to be clear though, Cody cleaning up his appearance does not mean that he has forgotten how to get down for a good brawl, as his moveset in "Street Fighter V" will attest to. 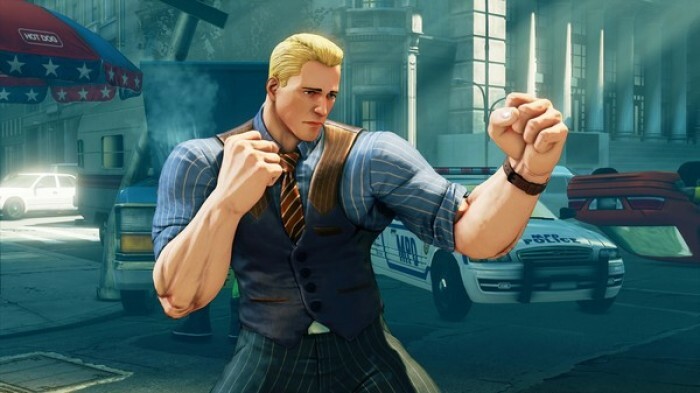 First off, it's worth noting that the developers have updated Cody's fighting style to make it align better with his "new spiffy style," according to a post on the Capcom Unity blog. As an example of how Cody's moveset has been updated, developers noted that he no longer throws rocks during fights. What Cody will do instead is gather some wind using his hands and then use that element of nature to blow back an enemy. That new move is called the Tornado Sweep, and it should be a popular one among players planning to main this character. Cody's V-Skill is known as Double Kick, and this move should be used to counter opponents attacking from the air. Cody attacks both sides with this kick, so it should have a good chance of landing consistently. His first V-Trigger is the Sidearm, and upon activation, Cody will wield a knife and use it to extend the range of his attacks. It is also possible for players to throw Cody's knife at an opponent. For his second V-Trigger, named Dirty Coach, Cody once again pulls out a weapon, but this time, it's a pipe. Cody may even use the pipe as some kind of baseball bat. Cody's last signature attack is named the Criminal Punisher, and what he does here is gather plenty of energy and wind and then subsequently unleash a tornado that's powerful enough to lift even the largest opponents into the air. It's essentially a souped-up version of the Criminal Upper attack Cody has used in this past. It's clear that even though Cody is now the mayor of Metro City, he is also still someone fully capable of mixing it up with the bullies who like to roam the streets. Those who have the Season 3 Character Pass will see Cody added to the roster on June 26. For those players who don't have the character pass, they can purchase Cody either for $5.99 or for 100,000 Fight Money. Before purchasing Cody, "Street Fighter V" players who will be at E3 will be able to try him out inside the game by dropping by Capcom's booth.